Vegemite (/ˈvɛdʒɪmaɪt/ VEJ-i-myte) is a thick, black Australian food spread made from leftover brewers' yeast extract with various vegetable and spice additives. It was developed by Cyril Percy Callister in Melbourne, Victoria in 1922. The Vegemite brand was owned by Mondelez International (formerly Kraft Foods Inc.) until January 2017, when it was acquired by the Australian Bega Cheese group in a $460 million agreement. 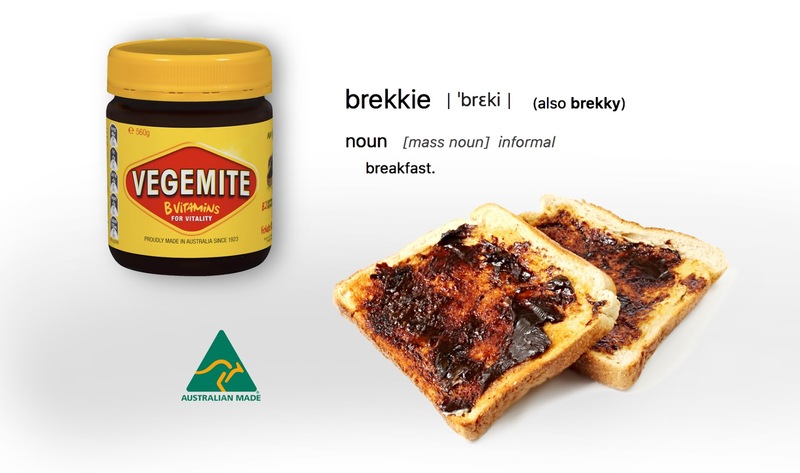 A spread for sandwiches, toast, crumpets and cracker biscuits as well as a filling for pastries, Vegemite is similar to British, New Zealand and South African Marmite, Australian Promite, MightyMite, AussieMite, OzEmite and Swiss Cenovis. Vegemite is salty, slightly bitter, malty, and rich in glutamates – giving it an umami flavour similar to beef bouillon. Oooo yuck no thank you.